The 'Groups' section of TournaKit Pro is primarily for managing group payments. TournaKit Pro provides payment flexibility so that individuals within a group can pay for themselves or the entire group. TournaKit Pro Charity Golf Software is easy to use and will save you valuable time. 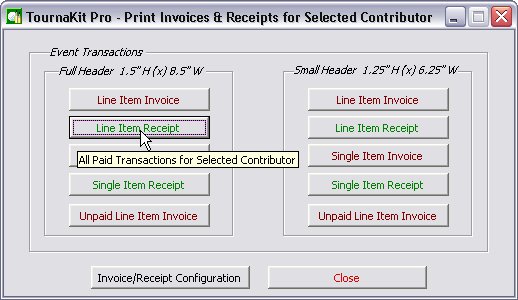 In seconds you can enter a group payment and then with a click print the receipt. 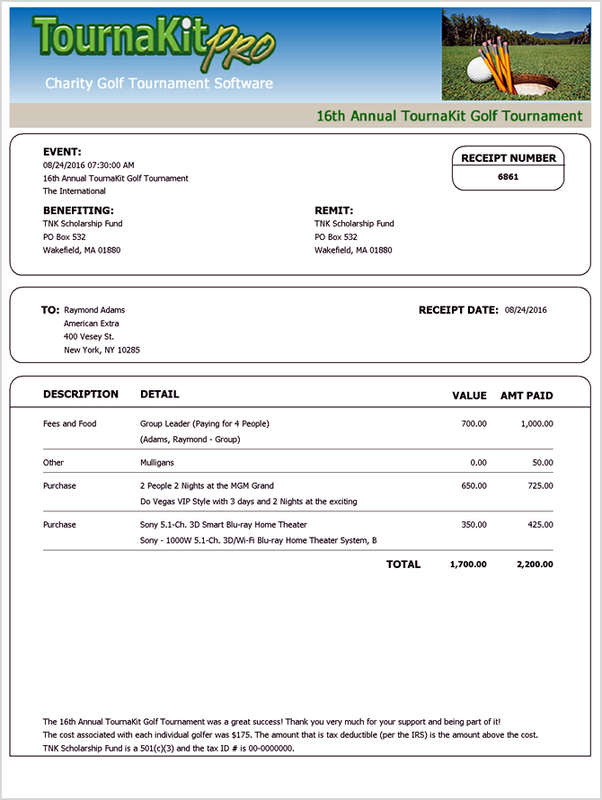 Below is an example of a 'Single Item Receipt' for tournament "Fees and Food". Experienced charity golf tournament planners want software that will provide speed and flexibility. 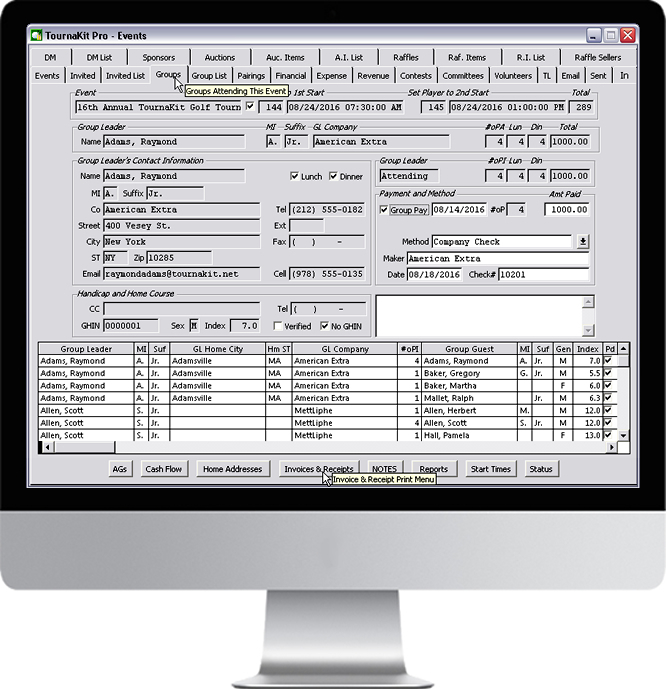 When it comes to invoices and receipts, TournaKit Pro's database will deliver exceptional speed and provide the flexibility of printing either 'Single Item' or 'Line Items' transactions. 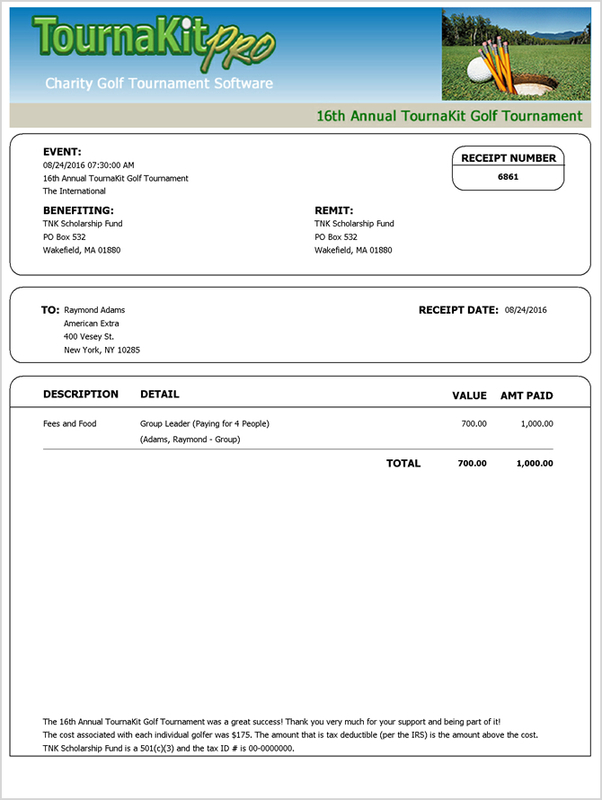 Below is an example of a charity golf tournament 'Line Item Receipt' for all the cash transactions of an individual golfer. 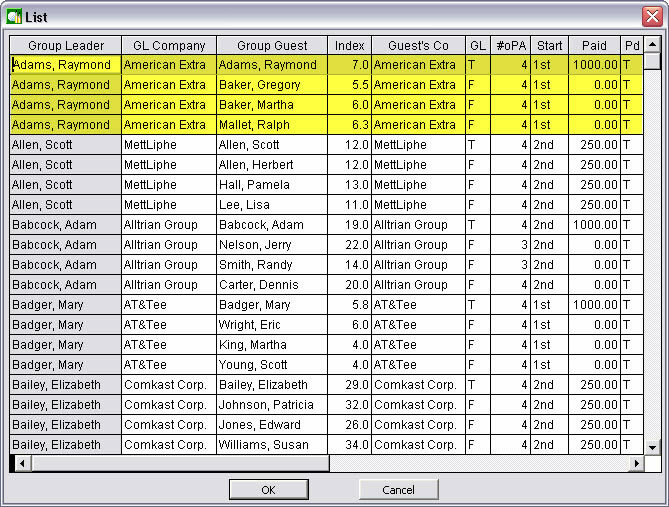 For the vast majority of charity golf tournaments the final players list is one of last pieces to the puzzle. Prior to the tournament a 'Pairings' list and 'Hole Assignment' list should be created. 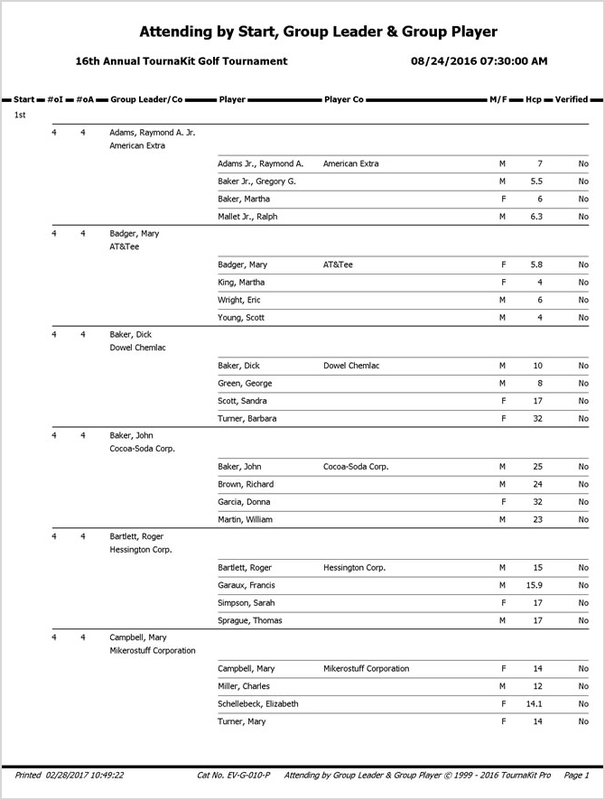 The Group Leader report titled 'Attending by Start, Group Leader and Group Player' provides a quick start for creating foursomes, cart pairings, and hole assignments.